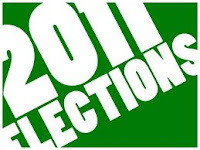 North Coast blog comments on 48th Ward election Reviewed by Edgeville Buzz on November 15, 2010 . The North Coast, a blog covering Rogers Park, West Ridge, Edgewater & Uptown posted about the upcoming Aldermanic elections, the candidates, and in some instances lack of candidates. Phil Bernstein is mentioned and supported for the 48th Ward in the post. Read the entire article here.